Looking for open floorplan and great storage space? This is it!!! 1 bedroom mid-rise condo with a den or potential bedroom (dimension of aprox 10x10)! Both rooms have added custom built in closets. Built in desk area off kitchen a hardwood floors throughout living areas. Tile Bathrooms. Large Kitchen and tons of cabinet space, quartz counter-tops and like new GE appliances! INCLUDED: washer/dryer and refrigerator. Secured parking garage on main level. Move today into the highly sought after Wesley Heights. Street connects to green-way trail that leads to Panthers Stadium and walking distance to Uptown. Wesley Heights offers new coffee shops, bars, breweries and restaurants! Co-Listing Agent is owner. 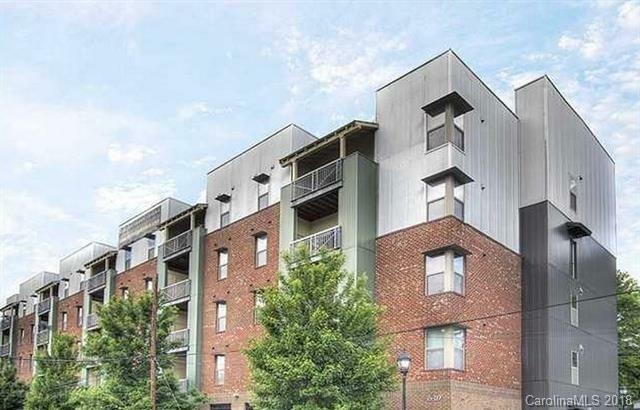 PROPERTY WENT UNDER CONTRACT W/ A RELO BUYER WHO ENDED UP NOT MOVING TO CHARLOTTE. IT DID NOT GET TO APPRAISAL OR INSPECTION STAGE PRIOR TO THE BUYER TERMINATING CONTRACT. Offered by Carolina Realty Advisors. Copyright 2019 Carolina Multiple Listing Services. All rights reserved. The data relating to real estate on this Web site derive in part from the Carolina Multiple Listing Services, Inc. IDX program. Brokers make an effort to deliver accurate information, but buyers should independently verify any information on which they will rely in a transaction. All properties are subject to prior sale, change or withdrawal. Neither Miller Realty Group | Keller Williams nor any listing broker shall be responsible for any typographical errors, misinformation, or misprints, and they shall be held totally harmless from any damages arising from reliance upon this data. This data is provided exclusively for consumers' personal, non-commercial use and may not be used for any purpose other than to identify prospective properties they may be interested in purchasing. © 2019 Carolina Multiple Listing Services, Inc. Data last updated 2019-04-24T09:58:53.443.